After a short reunion lunch with my grandmother's family (she does better when there's company around), I traveled all the way to Robinson's Galleria to pick up #5. Haven't been to Galle years. As in most malls, sales abounded, and although my mom did most of the shopping, I couldn't resist getting myself a few items. I also needed a case for my iPad mini, which is at risk of being dropped any day now. (I'm really clumsy with gadgets.) 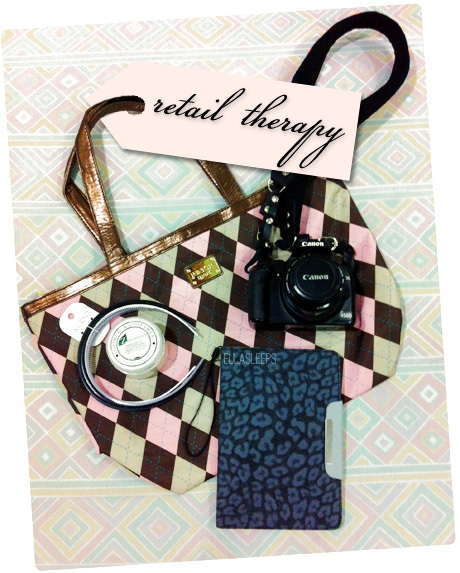 The gray animal print is chic but neutral enough for daily use. Stopped by Aldo to look at shoes but nothing struck my fancy. My thick hair is growing to cavewoman proportions though so I picked up this set of 4 plain and printed headbands. 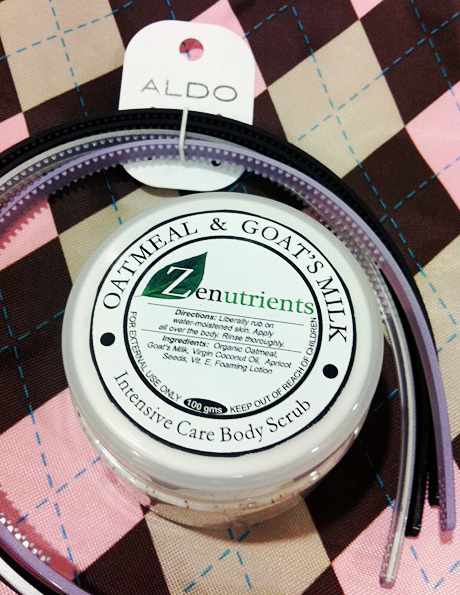 And I'm big on exfoliation right now, to avoid ingrown hairs, so I got this organic oatmeal and goat's milk body scrub from Sesou Nature Source. Not gonna lie, it was the pretty packaging (and the smell, but mostly the packaging) that attracted me. If you follow me on Instagram you'll know what I'm talking about. And the sundae underneath all those cherries, i.e. 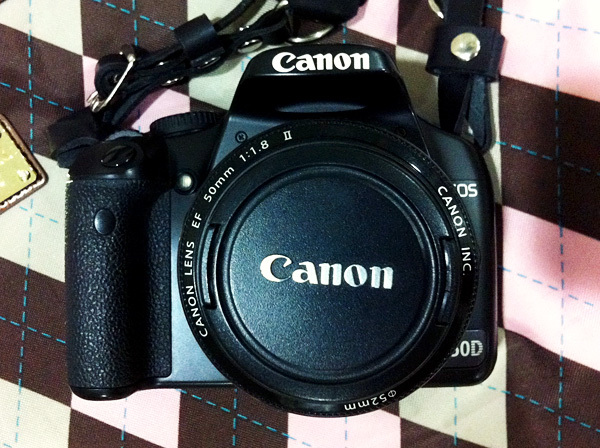 the sole reason I went to Galleria: this second-hand mint condition Canon 50mm f/1.8 prime lens, a.k.a. the "Nifty Fifty (II)." Portrait photography, here I come.